When winter approaches we often want to sit back in our coaches and something hot. If not tea, it has to be SOUP. My soup recipes will warm the cockles during cold and damp winters. I have a range of easy to make broths and soup for a perfect evening. This is the one soup which is must have in the winters. It has Vitamin K and Calcium which helps in forming bones, reducing risk of cardiovascular disease and also boosts mental health. Blanch tomatoes in an open vessel for 10 minutes and after that blanch the carrots. 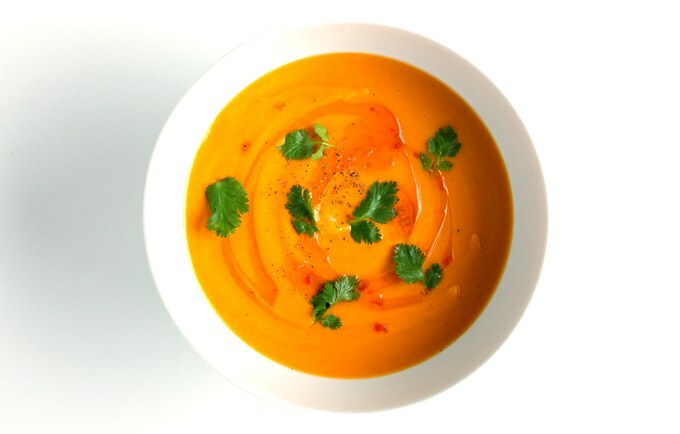 Avoid cornstarch instead use carrot puree to make soup thick. Puree tomato and carrot and add sugar and salt to taste. Boil it and add pepper to it. Fry some bread croutons and keep it aside on the plate. 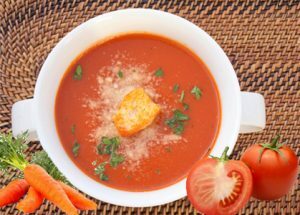 In a bowl, pour soup and croutons and cream to garnish. Serve hot. 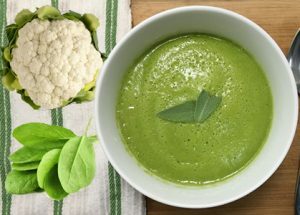 Cauliflower has anti cancer properties and spinach has iron building ones. W hen both meet they make an incredible combination. Often in winters, we need something smooth to have and believe me, this soup is so velvety that you will ask for more for sure. Let’s check out at the recipe..
Add bit of butter add garlic cloves and also toss cauliflower florets gently into the pan and then add onions. 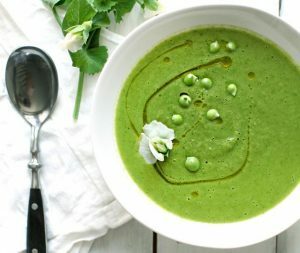 In a separate bowl put aside baby spinach and puree it in the blender. In next turn, add sauted cauliflower flowers and onions and puree them with bit of vegetable stock. Mix both the puree in the pot and add seasoning, salt and pepper to it. It is so velvety and smooth that you ask for more. It is traditional soup which has all seasonal vegetables of winters & often cooked in the heavy bottom pan. 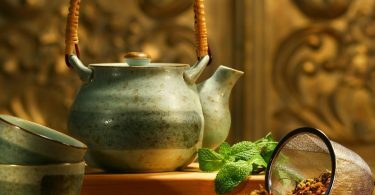 It gives boost to immunity and also helps us top get rid cold and cough and also help in keepin g our body warm. Let’s go through the recipe ….. Mix all the above ingredients in the pot along with water and simmer it for 1 hour. Let it simmer on the stove for 1 hour and after that season it with salt and pepper. While serving, put a generous amount of butter and head for a treat. You can garnish with boiled noodles. Serve hot. Blanch broccoli and peas and puree them. In a pan put butter and salute them and the add the pureed broccoli and peas and season it with salt and pepper. Cook it for 10 minutes and the healthy and hearty meal is ready. Garnish it with cream. Serve hot. 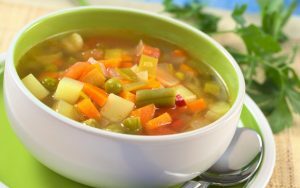 Enjoy your winters with pipping hot soups and adding a bit of butter won’t make you fat but make you healthy and immune. More to come keep reading and asking the queries.